The statement was issued after much debate among the Guild's executive committee members. Some of the members were opposed to issuing such a statement maintaining that Gandhi's remarks did not amount to attack freedom of expression or a threat. 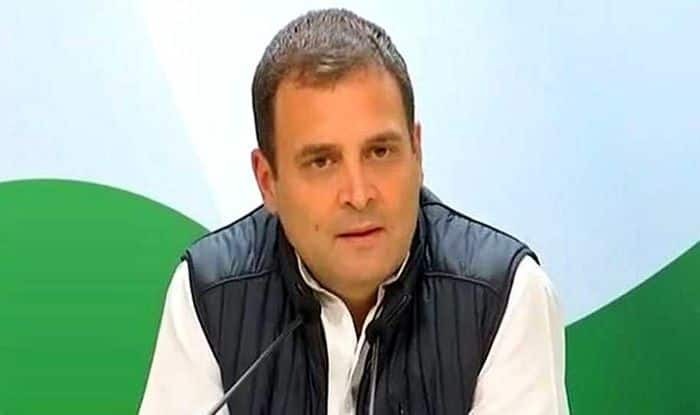 New Delhi: Congress President Rahul Gandhi’s ‘pliable journalist’ comment on Prime Minister Narendra Modi’s New Year interview has drawn the ire of the journalist fraternity with the Editors Guild of India saying it believes that labelling has emerged as a “favourite tactic” on the part of the establishment to discredit, delegitimise and intimidate the fourth pillar of democracy. The literary forum of Indian writers issued a statement over the words used by the Congress President while criticising the journalist who interviewed Prime Minister Narendra Modi. It said it has “noted with concern” the words used by Gandhi. “We have seen our political class use this for some time now. In the recent past, top BJP leaders, as well as those of AAP, have used unambiguously abusive expressions such as ‘presstitute’, news-traders, ‘bazaaru’ (saleable commodities) or ‘dalals’ (pimps) for journalists,” the Guild said in a statement. The statement was issued after much debate among the Guild’s executive committee members. Some of the members were opposed to issuing such a statement maintaining that Gandhi’s remarks did not amount to attack freedom of expression or a threat. Earlier in the day, Finance Minister Arun Jaitley tweeted–“The Grandson of the ‘Emergency dictator’ displays his real DNA — attacks and intimidates an independent Editor.”Why are the pseudo-liberals silent? Waiting for the Editors guild’s response,” he said. The statement also talked about how mechanisms such as boycotts, denial of access and lately government accreditation were used to choke the media’s freedom.”This must be reversed. Journalists, we believe, will continue to deal with these with their usual thick skins and not let these tactics intimidate them. The Guild, as an apex, non-partisan institution, however, takes strong exception to this tendency and calls for its halt,” it said. Delhi Journalists Association (DJA), affiliated to the National Union of Journalist (India) also came down hard on Rahul Gandhi.